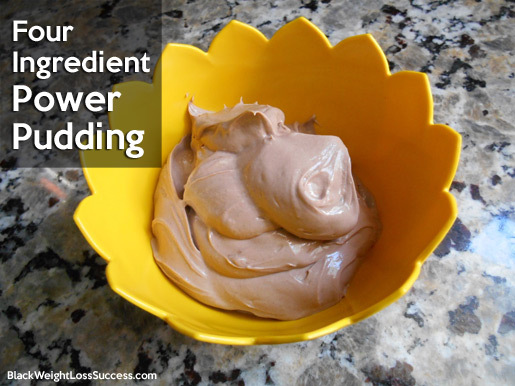 Check out the recipe for my 4 Ingredient Power Pudding. It’s full of protein, low carb and very simple to make. You can make this thick, mousse-like pudding as simple dessert and as a topping for fruit or frozen treats. The Key to Sweetness: You have to use a protein powder that tastes GOOD. If your powder requires extra sweeteners when you use it for shakes/smoothies or has a terrible after taste… Don’t Use It! How many calories and nutrients in the whole batch? : That will be determined by what brands of protein powder or greek yogurt you use. 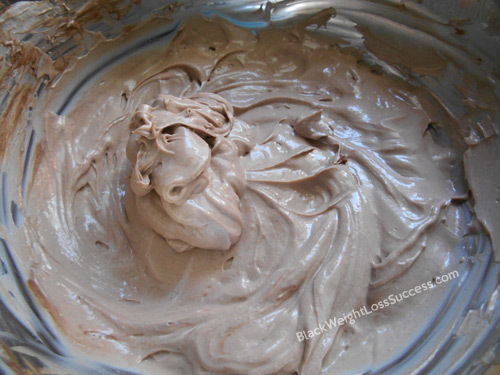 1/2 to 1 full scoop of your favorite chocolate protein powder. First, you’ll scoop with vanilla yogurt into a medium sized bowl. Next, add the protein powder, a little at a time. If your protein powder scoop is very big, you may want to start with just half a scoop to keep the mixture from being too powdery. The yogurt can only absorb so much powder. 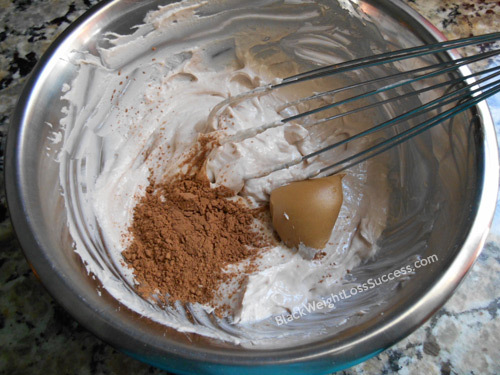 Next, you will add a tablespoon of cocoa powder and a tablespoon of peanut butter. Mix well. 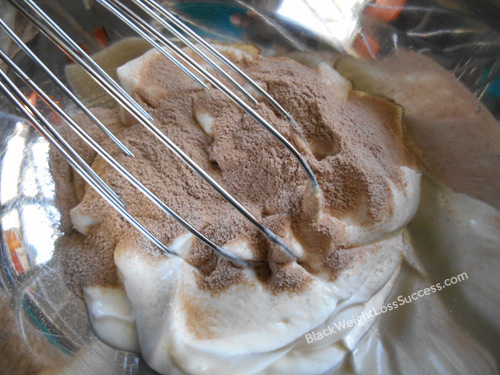 You can use an electric mixer if you wish, but I prefer a wisk. Once all of the ingredients are blended, you should have a thick, delicious pudding. 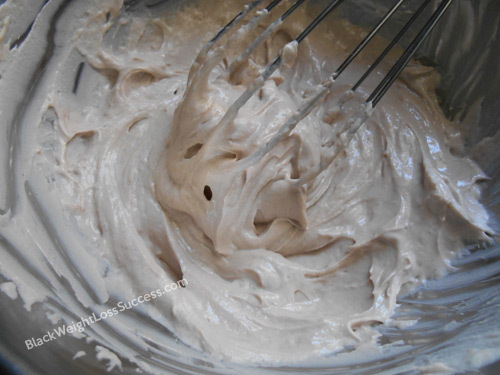 If the taste is not to your liking you can add some liquid stevia or teaspoon of sugar-free pudding powder. As I stated before, the key to a great tasting Power Pudding is the protein powder. I’ve found that this recipe makes about 3 small servings or 2 medium sized and keeps for about 48 hours in the refrigerator.